Back in 2012, I reported on some academic research showing that Democrats lost about 25 seats in the 2010 mid-term elections because of support for Obamacare. 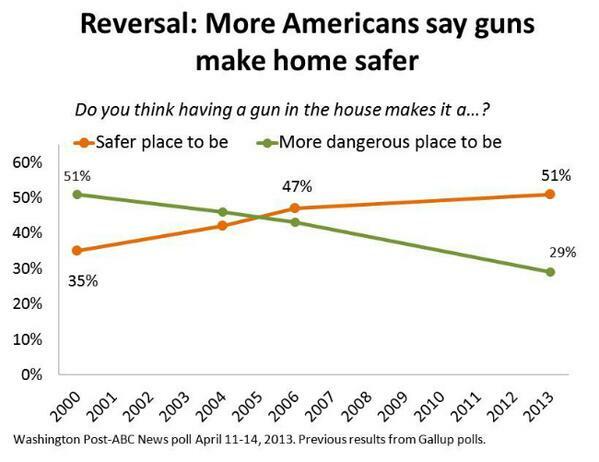 But we don’t have to go back nearly 20 years to find evidence showing that gun control is unpopular. In a remarkable development, two incumbents from the Colorado State Senate – including the Senate President – were ousted yesterday from their seats in a special recall election. Here’s some of what’s being reported in this morning’s Denver Post. What makes these results so amazing is that voters in these Senate seats have a history of voting for leftists. Obama won both of them comfortably, garnering 59.7 percent and 61.2 percent of the vote. Neither seat could be considered red-state territory. …[Giron’s] district is heavily Democratic, Pueblo is a blue-collar union town. Morse’s district included Manitou Springs and a portion of Colorado Springs — and more liberals. …It’s unclear when the city of Pueblo was last represented in the Senate by a Republican. It’s also worth noting the unprecedented nature of this election. The turn of events made Morse and Giron the first Colorado state lawmakers to be recalled. The pro-Second Amendment backlash also is causing a headache for the state’s governor, who was once seen as a politician with national potential. Last but not least, the Atlas Project (don’t know what that is or who they are, but they have lots of good data on the recall election) reports that the anti-Second Amendment people had a huge money advantage, outspending supporters of the Constitution by a 5-1 margin. Republicans trail badly in the money race. In total, Democratic groups have raised over $2.6 million and spent almost $2.3 million in the two races. Republican interests have raised not even $523,000 and spent less than $482,000. Clearly, Democrats are taking the recall threat seriously and are both better funded and better organized. In other words, even though there had never been a successful recall in Colorado history, and even though advocates of gun rights were targeting Senators in two districts that voted overwhelmingly for Obama, and even though the statists had a huge money advantage, what mattered most was that voters did not want their gun rights eroded by politicians. Opponents of the Second Amendment probably thought they could win because they weren’t trying to ban guns (at least not in the short run). Instead, they “merely” required background checks and restricted large-capacity magazines. But the people of Colorado recognized and understood that the pro-gun control cranks such as Mayor Bloomberg view “modest” gun control schemes as nothing more than stepping stones to gun bans and gun confiscations. Polling data shows the American people would engage in massive civil disobedience if politicians tried to ban guns. But it’s also comforting that voters also are willing to overcome heavy odds to knock off politicians who push for any type of gun control. This is one further bit of evidence that we should be optimistic about the future of the Second Amendment. The political elite may want the American people disarmed, but we’ve seen major progress in the other direction in recent years because of pressure from ordinary Americans. Not only have pro-gun control politicians been punished, but dozens of states have taken steps to expand and protect the rights of gun owners. And let’s not forget how Obama’s attempt to exploit the Connecticut school shooting flopped. That being said, we should never get overconfident. Yes, it’s good that some honest liberals (here and here) have recognized that gun control is misguided. And it’s great that we have powerful polling data from cops showing that they realize gun control does not mean less crime. But there are still lots of politicians hoping to take advantage of some future tragedy to push their statist anti-gun agenda. Simply stated, eternal vigilance is the price of liberty. P.S. Click here and here for links to some good anti-gun control humor, but I want to close by sharing a link to this poster, which seems to drive leftists crazy and deservedly is the fourth-most viewed post in the history of my blog. I do not consider the mere replacement of two senators in Colorado to be any sort of victory. The unconstitutional measures they have put in place still stand. Now- get rid of their radical governor, and you might have something. Colorado has a long way to go to convince the rest of us that they are not just some sort of marijuana- addled, high-altitude enhanced bunch of liberal loonies. I used to live in Boulder, and I can tell you that they all had the attitude that now that they had blasted their home into the side of the mountain, nobody else should be able to ruing their view. Is there any way you can start posting links for the datasets you get your infographics from? Just to make it clear for everyone, there’s a good chance that gun control will cease to be a political issue altogether sometime in the next few decades. In case anyone isn’t aware, it’s already possible to search the web for CAD files that can be used to manufacture a variety of firearms using 3D printers or CNC machines; the former of which can be build at home with the right arrangement of stepper motors, an extruder, motherboard, wiring, etc. Just take a look at DefCad and Defense Distributed if you want to know more. As far as I’m concerned the ability to prevent people from making whatever firearm they wish is effectively dead. It’s just a matter of making the public more aware of why new gun laws are undesirable, and now with the internet available to get a wider variety of views that differ from mainstream media, this has become easier than ever.